I hope you don’t mind that I enjoy globe trotting with these inspiring house tours created for you! We were just in Houston to explore French country fantasy, and today, we’ll travel to the UK, where a Classic English Townhouse with interior design inspiration from Imperfect Interiors awaits. Interior Design by Imperfect Interiors. Photo: Chris Snook. 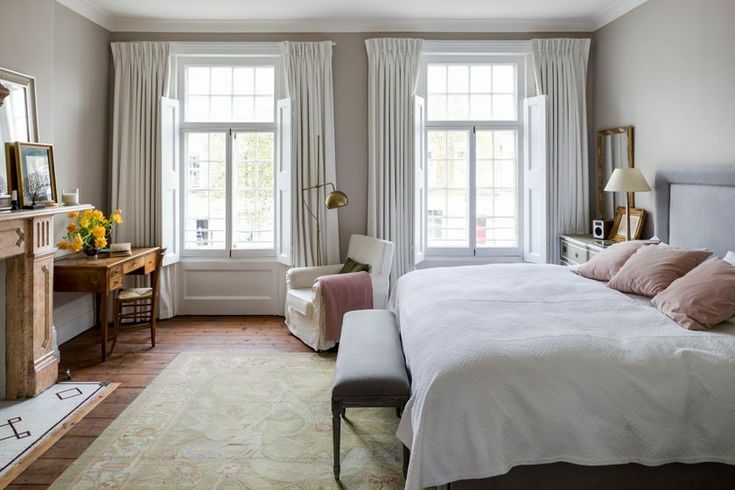 This beautiful historic townhouse in the UK certainly looks picture perfect now. However, it was in need of serious design attention when its new owners bought it. Rotted casement windows were replaced with historically correct wooden versions. Floors were stripped and stained. Ceiling roses were reinstated. Wiring was brought up to date. This beautifully serene home for a family of five is graced with elegant interior design by Imperfect Interiors. Designer Beth Dadswell combined beautiful antiques with contemporary furniture and masterfully mixed a wonderful collection of art and family heirlooms. It was the single image above, of an impossibly lovely kitchen sink vignette, complete with an enviable collection of English stoneware on a window sill that caught my attention. I saw this image at Elle Decor France, and then had a heck of a time tracing back its origin since it was linked to a personal Pinterest account of an admirer. But here’s the beauty of Pinterest now: Pinterest’s image recognition system has grown sophisticated and pulls “more like this” images. When you scroll down the screen beneath the image, you will find the exact image and/or similar examples. When I scrolled beneath this pinned image, I was able to find more sources for this kitchen image and eventually arrive at the designer who created it! But back to that kitchen vignette created by Imperfect Interiors and how it stopped me in my tracks. I couldn’t stop staring. Is it that collection? Those narrow windows? The charming hardware? Zellige tiled backsplash? The minimal modern faucet? Warm gray paint on the cabinets? 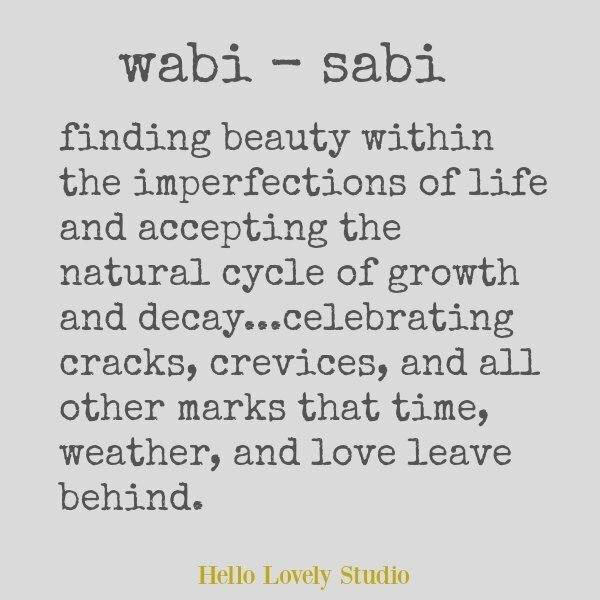 The loveliest of WABI SABI goodness seems to be registering here! It is all of those design elements and more. Soulfulness. Here is a designer who truly seems to understand the interplay of light, tranquility, and balance of high and low. In her own words, she describes her transformative approach to designing interiors. 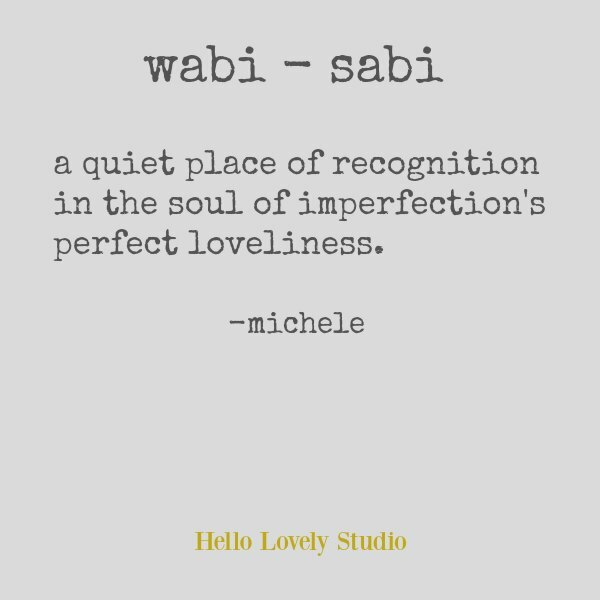 A designer who embraces, values, and welcomes the imperfection of objects and finishes is a lovely treasure indeed! Sometimes the soulfulness of imperfectly beautiful design can be transmitted as it is captured in photography. When the eye of the one behind the camera is an artful eye…ahhhhhh…isn’t it magic? Studying this photo got me thinking about quantity versus quality and how I aspire to clear more clutter from my life and home. 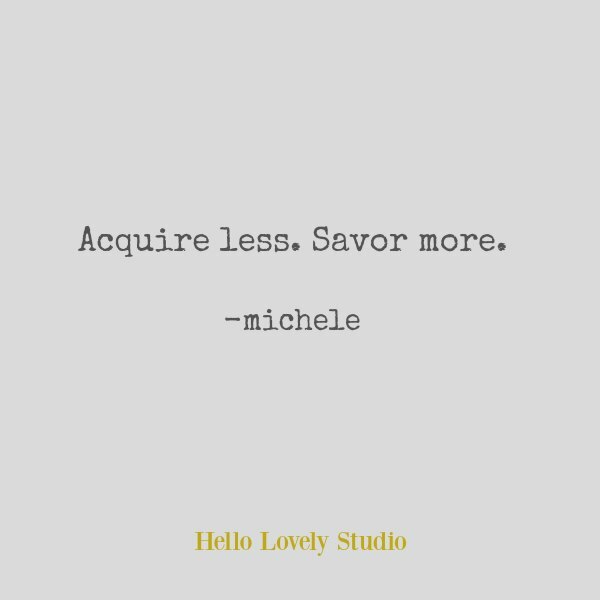 I think we all understand buying less but better. But are we truly giving much thought to how living with quantities of certain things may water down and dilute the beauty of the true treasures? Plenty of Americans do not think this way as evidenced by the quantity of personal belongings we store in basements, attics, closets, and storage facilities. Collecting is such an enjoyable venture in and of itself that we keep collecting. Folks living in places where storage is limited necessarily become more thoughtful about what stays and goes. 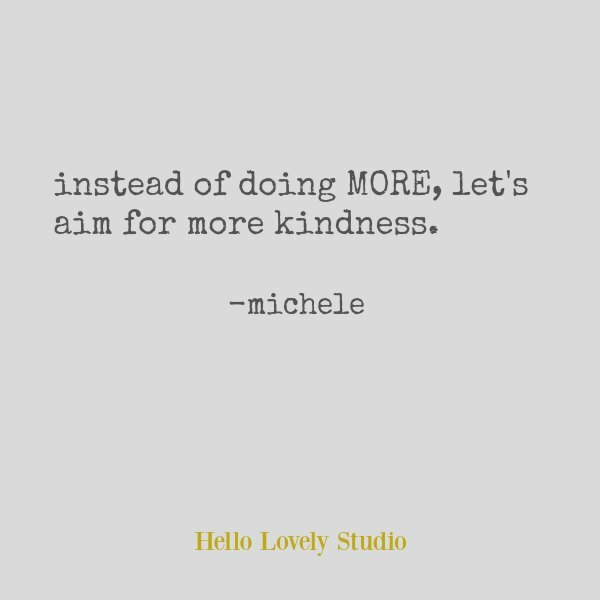 I spent a lot of time studying human behavior so it all fascinates me…how does living with excess affect us at deeper levels? Georgian style is associated with classicism and popular styles during the period of history spanning 1714-1830, during the reigns of four British monarchs (George I, II, III and IV). Geometry, symmetry, and proportion are architectural buzzwords for the style which spread to the New World. You’ll see beautifully classic design elements reflected in the house tour that follows. 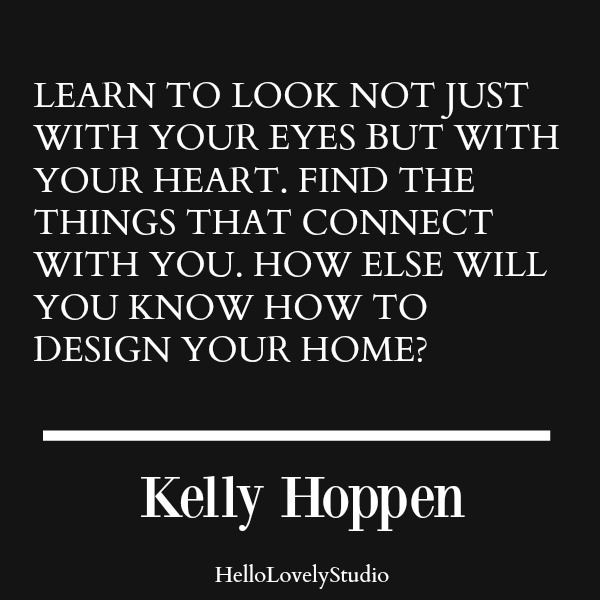 Yet you will also notice how the designer has created airy livable spaces that feel comforting and understated in their simplicity and sophistication. 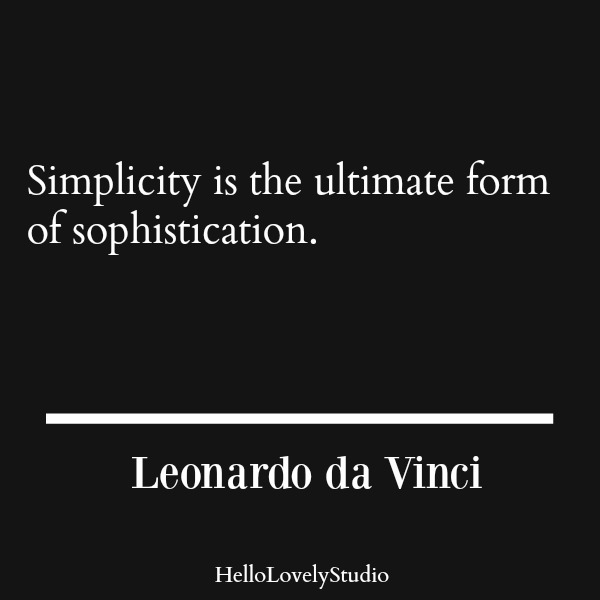 As a real life renovator, I happen to know firsthand the hundreds of details and invisible projects and improvements entailed for achieving “simplicity!!! !” It is certainly no simple task to get there, but when the goal is a peaceful home graced with imperfect beauty…well, I think the universe often rises up to meet you. Interior Design by Imperfect Interiors. Photo: Chris Snook. Find beautiful options for natural fiber area rugs RIGHT HERE. Interior Design by Imperfect Interiors. Photo: Chris Snook. Love white quartz in a kitchen? Find help for choosing the right white RIGHT HERE. Interior Design by Imperfect Interiors. Photo: Chris Snook. Random: I used my favorite white quilt like the one above as a table cloth for a recent party…where red wine was served! Um. Not. a. good. move. FIND PRETTY WHITE QUILT OPTIONS HERE. I rarely meet a white slipcovered accent chair I don’t crush on…THIS ONE just popped up on my radar!!! Is too soon to be thinking about COZY PUMPKIN SPICE THROWS? Interior Design by Imperfect Interiors. Photo: Chris Snook. Lord have mercy, more white slipcovered chairs…is it a sign? I love THIS ONE. I can’t resist a comfy, cozy, beachy white slipcovered sofa like THIS ONE. Isn’t this moment (above) from the kitchen one of the loveliest you have seen? Which reminds me of another line of thought bubbling up for me recently. 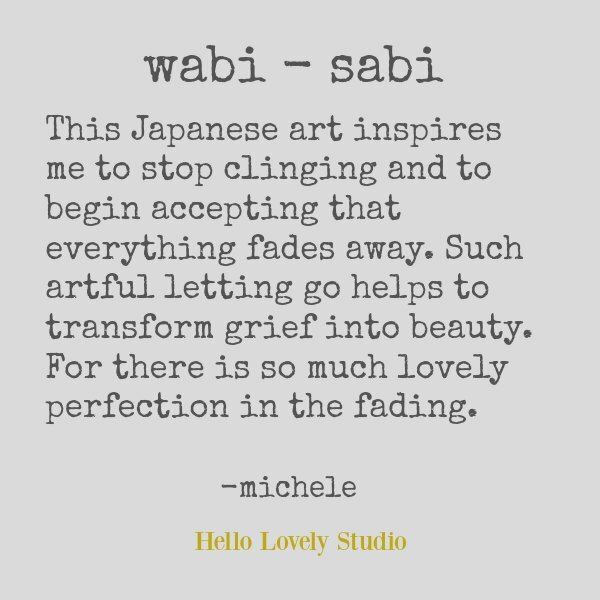 We know that beauty does fade…but where does it go? Why do we assume beauty ceases to exist after the fading? Solid ice transforms into vapor, becoming invisible, yes? What if beauty’s perfection evaporates in this place yet is stored in another and is perhaps recycled for good? 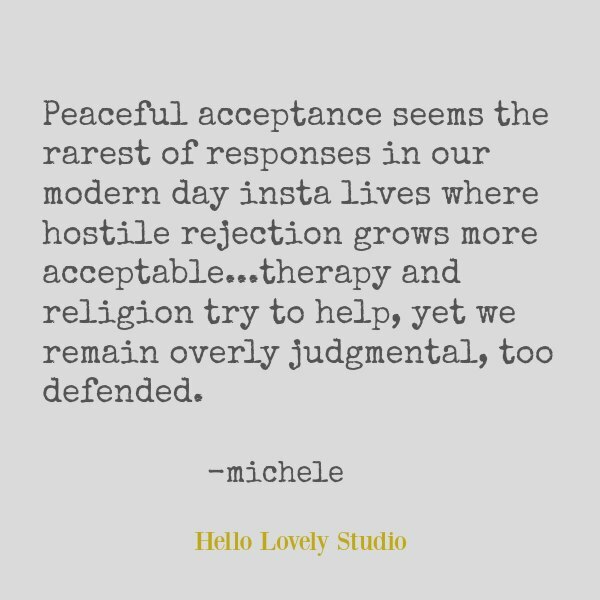 Would not such a mechanism comfort us in small ways when we grapple with loss? Discover more work from Imperfect Interiors RIGHT HERE, and visit their IG right here. 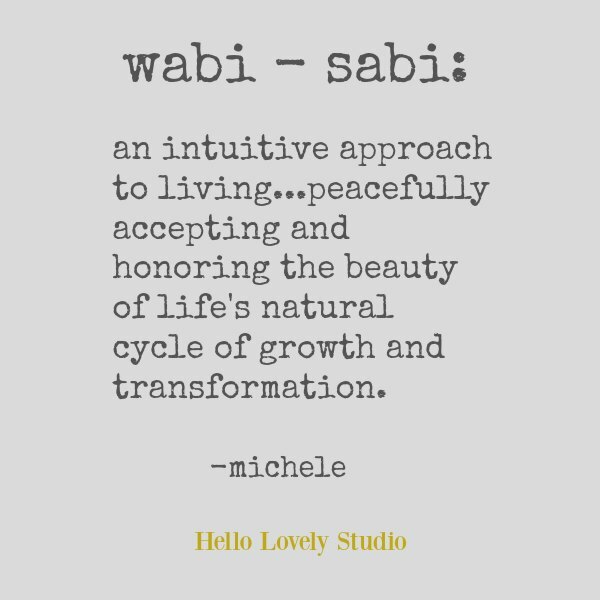 PLEASE DO SHARE YOUR THOUGHTS ABOUT PEACEFUL INTERIORS, WABI SABI, IMPERFECT BEAUTY, AND LIVING WITH LESS when you get a moment! 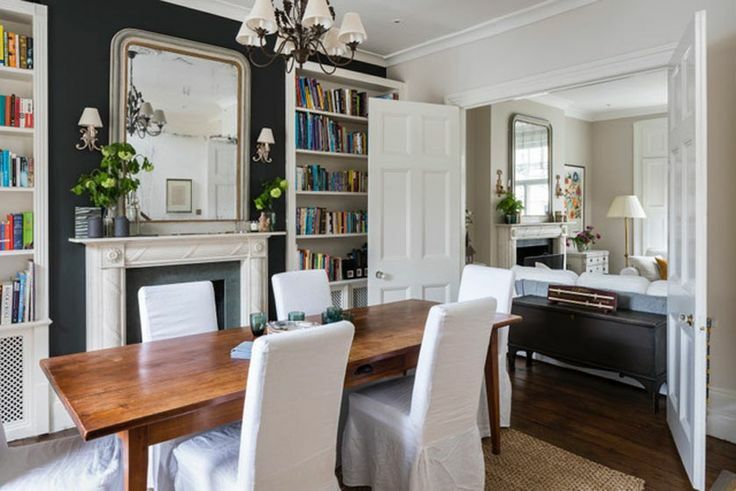 Find another lovely house tour in the UK…RIGHT HERE.